Life is like a bicycle. 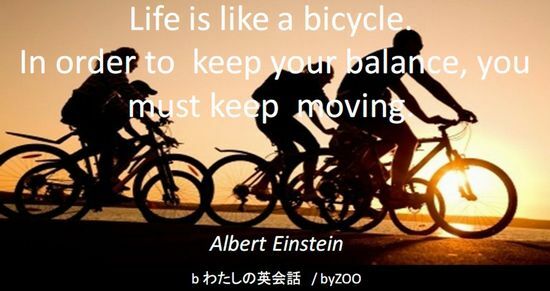 In order to keep your balance, you must keep moving. I woke up early in order to study. I studied hard in order to pass the entrance examination.